Discount Magic - 3D Rabbit Set. 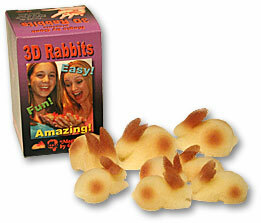 Now you can perform the classic multiplying rabbit routine with a wonderful new set of sponge bunnies from Goshman. 3D Rabbit Set Now you can perform the classic multiplying rabbit routine with a wonderful new set of sponge bunnies from Goshman.